Everybody knows what happened to the Newspaper industry all over the world, and the trend seems more or less clear… but What about radio? How the local/regional radios will be affected by the Internet? Will it be a positive or a negative effect? My take is that something very similar will start to happen in the near future (5-10 years) in the Radio Industry. Let’s take a look at theses aspects one by one. Traditional or terrestrial radios have had to invest considerable amounts of money in infrastructure, mainly lots of big and costly antennas spread geographically so your signal can reach the maximum number of listeners. With an Internet Radio the only infrastructure cost is a Server. Server capacity is usually scalable with demand, and now with cloud computing it’s even consumed on demand. On the other hand, the cost of running a server to reach a worldwide audience is negligible compared even with the cost of running a small local radio FM Network. What this means is a change of the game in the radio industry. 20 years ago, if you wanted to compete with a local radio, you had to physically invest in local infrastructure. Now that’s not the case anymore. A local radio Jazz Specialized radio will have to compete with Jazz Radios from all over the world. Think of this in a similar way to what happened to Broadcast TV vs. Cable TV. 30 years ago, if you wanted to see a program related to “Fishing”, probably you had to wait until Saturdays at 6:00am when there was a one hour program on the subject. With Cable TV, all of a sudden you have a “Fishing Channel” running 24/7. With radio, it’s happening more or less the same. Traditional radios have a 2 hour weekly program on 80’s rock, a Jazz Special on Sundays, classical music on Saturdays, etc. 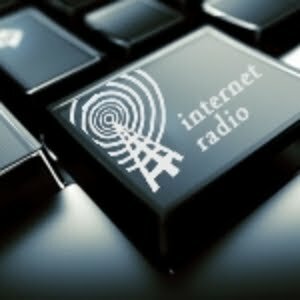 Now with online radio your possibilities just got infinite. You can find a French Radio specialized in Classical Music, playing only Mozart 24/7, or a Chicago Blues Radio, a Salsa Radio, Music from Brazil… you name it. The big change is that local terrestrial radios, instead of having a couple of small local competitors, will have thousands of competitors of different sizes spread globally. How will I (Small Local Radio) attract listeners to my Saturday Jazz Special if my audience can get thousand of specialized Jazz radios from all over the world, any day at any time? As tastes become more specialized, local radios will be unable to compete against global players with more resources and better technology. There will be a huge opportunity for Ad Networks (such as AdSense and the likes) to localize and segment radio advertising in this new setting. The Radio industry will go through a process of “Amazonization”, meaning long process of personalization, recommendations, custom made suggestions, etc. As a matter of fact, although still incipient, this trend of “Amazonization” of the radio industry has already started with online radios such as Pandora.com and Last.fm. Which will be the triggers for this change? More or less when will it happen? I’ll try to answer these and other questions in Part Two of The future of the Radio Industry. Thanks for your recommendations on the Dubai job websites, that was very helpful. You mentioned you had a list of recruiters, is there anyway I can access that? Our world today is a world with new technologies and amazing discoveries. Most especially in the future it will be more hi-tech. We need to reach millions of customers each day and internet marketing is the best way to make this happen. Internet Marketing does not only drives traffic to our site, increase our revenues, but what is important is to share to people that we have great goods that they can use or tool that can help improve themselves or their lives.